But because I love this story so very much, I want to do what’s best for it. And because there are so many options, I’ve been procrastinating on getting it done. (Even though last fall I was almost certain what I wanted to do with it…yeah, I changed my mind pretty quickly). So this story has been sitting on my hard drive, practically finished, with only a few minor nitpicks to make. Until yesterday, when I just got fed up with it. I still don’t know what to do with the story, but I want to get it out there, doggone it. Writing my SuperWhoLock fic confirmed to me one of the reasons that I write–so people have good stories to readd. I don’t seek validation from readers, but it makes me happy to know that stuff I’ve written is out there for people to find and read and enjoy…whether they like it or not is their problem, because my work certainly won’t be for everyone. 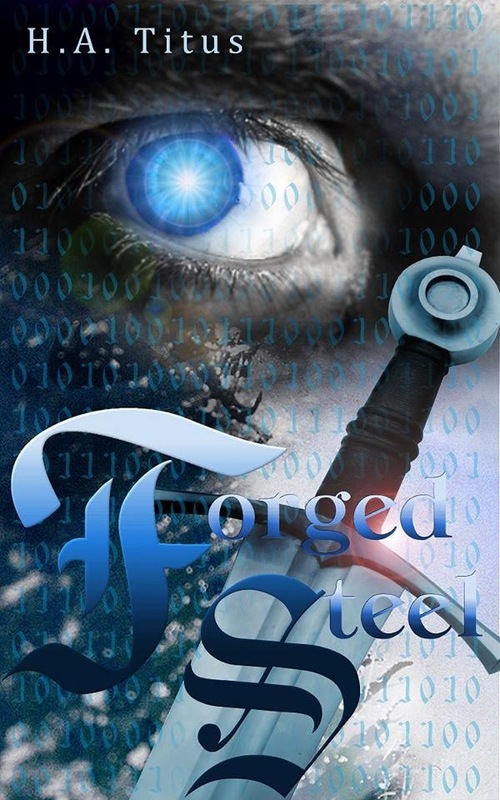 So I got brave, and I posted the first chapter of Forged Steel to Wattpad today. It’s a temporary placeholder, somewhere to put it where people can read it and enjoy it while I figure out what the heck to do with it. Coffee shop. 2 AM. Downtown Springfield, Missouri. One minute, Josh is firing off sarcastic remarks at his best friend Marc – the next, they’re running from shape-shifting monsters. Apparently even best friends don’t share all their secrets. Marc, it turns out, is a creature straight out of Gaelic legend. And now Josh is in danger – because he can see the monsters hiding among the humans.